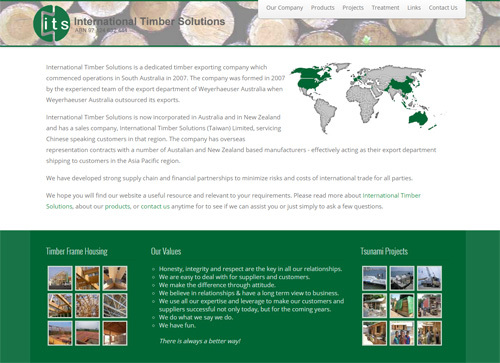 International Timber Solutions is a timber exporting company based in South Australia. In addition to their web site, the company required a custom built order tracking system that allows customers and agents to follow the progress of their timber orders as they are shipped around the world from the initial sales order confirmation through documentation and vessel departure until final docking. A responsive site design enhances viewing on mobile devices and meets Google's mobile-friendly test. 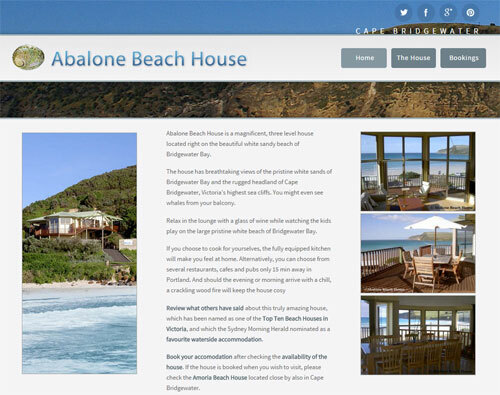 The Abalone Beach House web site highlights the breathtaking views over the pristine white sands of Bridgewater Bay and the rugged headland of Cape Bridgewater. The site features a customised booking system that allows the owners to rent the house as a holiday getaway, and social media integration. A responsive site design enhances viewing on mobile devices and meets Google's mobile-friendly test. 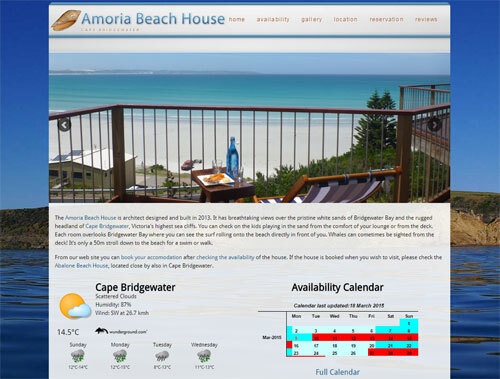 The Amoria Beach House web site highlights the breathtaking views over the pristine white sands of Bridgewater Bay from this architect designed contemporary residence. The site features a customised booking system that allows the owners to rent the house as a holiday get away. A responsive site design enhances viewing on mobile devices and meets Google's mobile-friendly test. 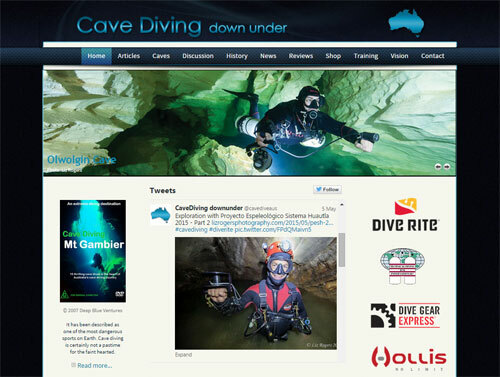 Cave diving is an extreme sport practiced by only a few hundred divers in Australia. The web site brings together all available information on the sport within the country. Included is a Twitter feed, email list, comments on articles, a forum, click through tracking for advertisers, and an online shop.